Magnetic educational game in cardboard for boys on the faces theme. Composed of 70 magnets and 12 cards. Once the “book” is opened, the aim is to make on the stage the same face as indicated on the card thanks to the magnets. 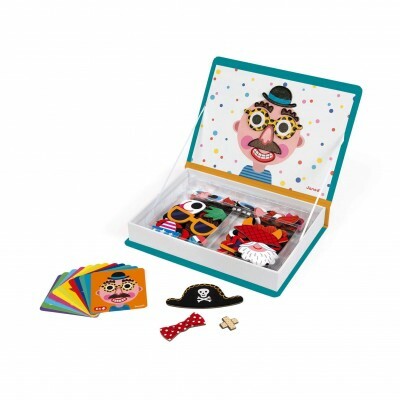 The child can also create funny and crazy faces by mixing the different magnets together.